Imo is one of the 36 states of Nigeria and lies in the South East of Nigeria. 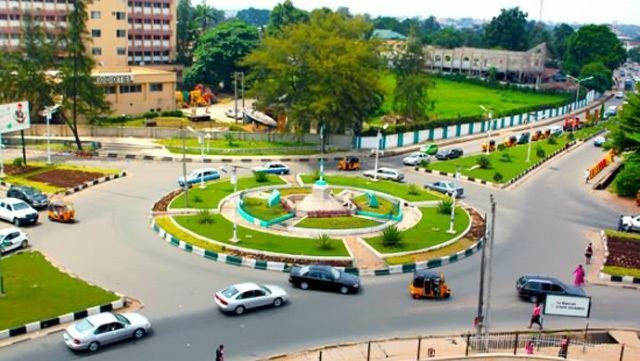 Owerri is its capital and largest city. Its other major cities are Orlu and Okigwe. Located in the south-eastern region of Nigeria, it occupies the area between the lower River Niger and the upper and middle Imo River. 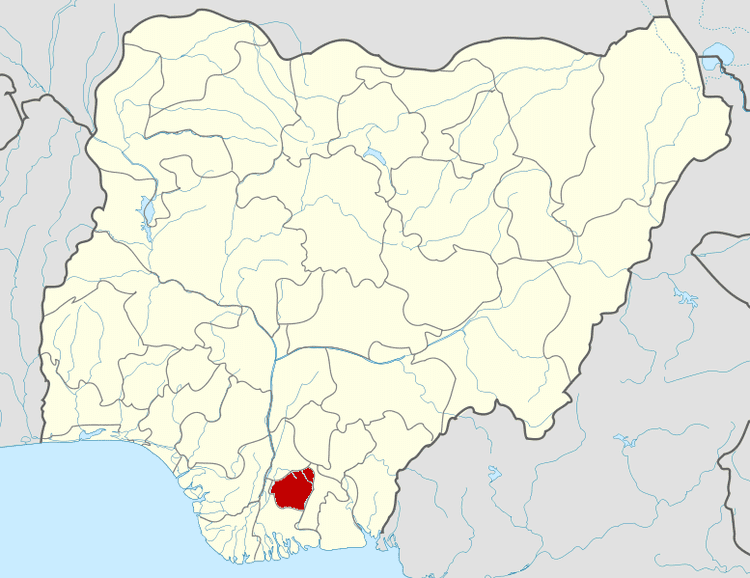 Imo State is bordered by Abia State on the East, River Niger and Delta State to the West, Anambra State on the North and Rivers State to the South. The state lies within latitudes 4°45'N and 7°15'N, and longitude 6°50'E and 7°25'E with an area of around 5,100 sq km. The economy of the state depends primarily on agriculture and commerce. The Orashi River has its source in Imo State. Imo River, being the major river in the State, drains through Abia State, where it is joined by Aba River from the North, and Akwa Ibom State into the Atlantic Ocean. There are Njaba River, Oguta Lake, Utu River and Awbana River in the State. Otamiri River and its 9.2 km length tributary, Nworie River flow in the State. There are other rivers and creeks in the state including Onas Creek in Ohaji/Egbema, Okitankwo River in Umudi, and Ohia and Efuru Rivers in Okigwe. There are over 163 oil wells at over 12 different locations in the state. The main petroleum companies operating in the state are Addax Petroleum, Chevron Corporation, Royal Dutch Shell and Agip. Some of the established oil-rich local government councils include Ohaji/Egbema, Oguta, Oru East, Iho, Oru West, Obowo and Ngor Okpala. Many investment opportunities exist in the state including oil and gas exploration, chemical plants, brewery plants, hydroelectric plants, gas-fired power plants, grain mills, starch production, cashews, fruit and vegetable juice concentrate production, integrated multi-oil seed processing plants, ceramics, Inland Waterway Transport, Integrated Palm Produce Industry et al. Independent global brewer, Heineken through its subsidiary Nigerian Breweries has significant investment in Imo State. The company manages the world-class Awo-omamma Brewery, a multiple-line brewery plant. Many more oil and gas opportunities are yet to be developed. The federal government has been called to inspect newly discovered oil-rich areas which might help foster economic development and job creation. Industrial parks and processing zones to harness the huge agricultural produce and minerals would give a major boost to the state's economic growth and industrialization. Oguta Lake, Palm Beach Holiday Resort in Awo-omamma and a host of other tourist sites along the banks of the 26 km-length Njaba River present hotspots for tourism. The chief occupation of the local people is farming but due to over-farming and high population density, the soil has greatly degraded. The cash crops include oil palm, raffia palm, rice, groundnut, melon, cotton, cocoa, rubber, maize, etc. Consumable crops such as yam, cassava, cocoyam and maize are also produced in large quantities. The rainy season begins in April and lasts until October with annual rainfall varying from 1,500mm to 2,200mm (60 to 80 inches). An average annual temperature above 20 °C (68.0 °F) creates an annual relative humidity of 75%. With humidity reaching 90% in the rainy season. The dry season experiences two months of Harmattan from late December to late February. The hottest months are between January and March. With high population density and over farming, the soil has been degraded and much of the native vegetation has disappeared. This deforestation has triggered soil erosion which is compounded by heavy seasonal rainfall that has led to the destruction of houses and roads. Imo State came into existence in 1976 along with other new states created under the leadership of the late military ruler of Nigeria, Murtala Muhammad, having been previously part of East-Central State. The state is named after the Imo River. Part of it was split off in 1991 as Abia State, and another part became Ebonyi State. Imo state was created at Ngwoma and the meetings for the state creation which began after the Nigerian Civil War ended in 1970 were chaired by Chief S. E. Onukogu. The judiciary is made up of the high court of justice and customary court of appeal and is headed by the Chief Judge of the state. Smaller jurisdictions in the state may receive Township Status or Urban Status. The state is over 4.8 million people and the population density varies from 230–1,400 people per square kilometre. Christianity is the predominant religion. 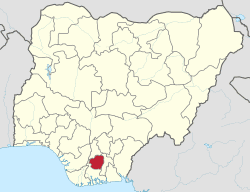 In addition to English being official language, Imo state is a predominantly Igbo speaking state, with Igbo people constituting a majority of 98%. Evelyn Okere – Nigerian businesswoman, publisher, fashion designer and the organizer of the St. Eve West African Fashion Week.